Bokamoso Education Trust understands that a brighter future starts with an education and giving children the right tools and support they need to find success in school and in life. Earlier in the year, Nthabiseng’s mentor, Kelly Van Der westhuijzen wrote to Bokamoso requesting assistance to raise money to help keep her mentee in a good school. 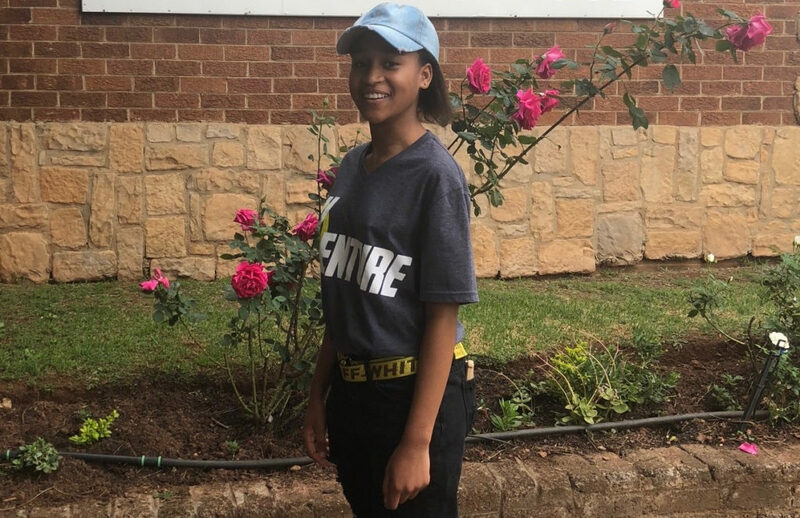 Due to some unfortunate circumstances, Nthabiseng and her mother needed to relocate back to Mpumalanga, which meant that Nthabiseng would have to disrupt her progress at school and would need to adapt to a new environment. Nthabiseng’s mother had been worried about the standard of education and support her daughter would be leaving behind. But, fortunately for Nthabiseng, Bokamoso through helpful donors, managed to raise funds to help her stay at Vuleka High School. Nthabiseng’s mother also found a much affordable accommodation, which worked out for the best, as Nthabiseng no longer needed to relocate or go to a boarding school. In addition to this, Bokamoso will also help cover Nthabiseng’s montlhy transport costs. “I am happy that Nthabiseng can stay with her mom and that she will keep seeing her mentor, Kelly,” says Bokamoso CEO, Cathrine du Toit. I want to take this time to say thank you for everything you have done for my daughter and me. You are a gift to us sent from heaven. I don’t know what I would have done without your generous help and support. Thank you again – May God bless you for blessing us. Wishing you lovely holidays. To contribute to making a child’s dream a reality, please visit Bokamoso Education Trust website or contact Bokamoso CEO, Cathrine du Toit on cathrine@bokamosotrust.org.za.